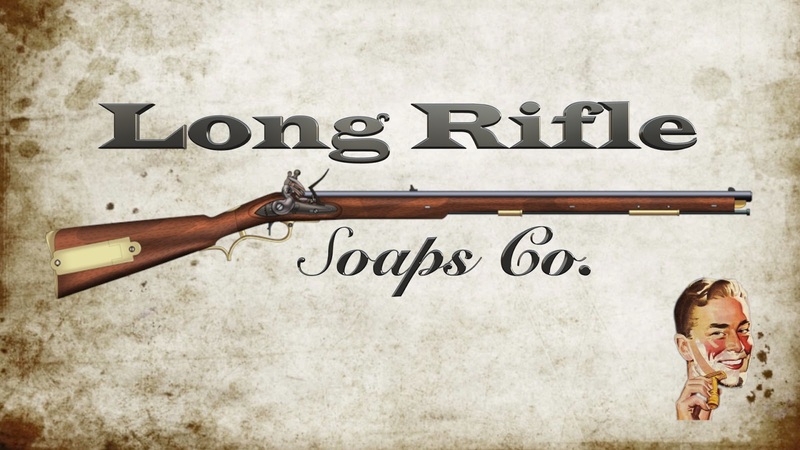 I finally had the opportunity to try Long Rifle Soaps. After a few email exchanges Amanda agreed to send me a few samples of her shaving soaps, but before we dive into them I asked Amanda how she became involved in soap making and here is her reply. 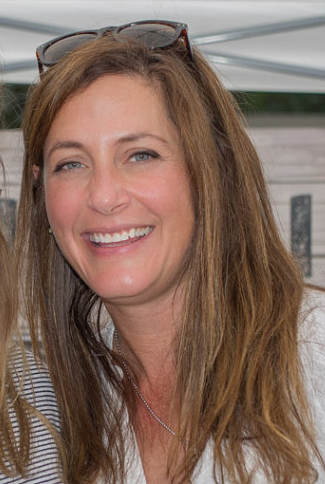 I left a high stress, crisis management job two years ago. My husband and I were talking one night about my path, and we started talking about our bee hives ... which led to soap. I was up all night thinking about the possibilities, as I felt the artisans didn't cover my scent profile, which is herbal and spicy, and I tend to like men's cologne. So a lot of research and running around, we gave it a shot, and did a lot of experimentation and used our family as guinea pigs. We landed on a tallow recipe that rocked. Then we started on beard oil, the mustache wax, and finally the shaving soap was launched this summer. What you put on your skin matters, and reading the ingredients on the shaving can is depressing. Research, testing, and refining finally gave us the all natural product we were looking for. My recipe was created to balance good lather with conditioning. 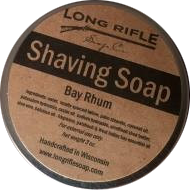 The shaving soap has taken off the past couple months, the customer feedback has been amazing. The soaps came to me in two sizes one 3 oz. and the others 4 small shaving soap testers about 2’ across the opening. The 3 oz. tin was of an older design I’ve seen, no twist on lid but during use it stayed on pretty good I must say. The labels are made of paper and appears to have no coating to make it water proof. I tested them in hot water for over 10min and to my surprise the label stayed on and I couldn’t even push them off with my thumb. I used a tester size soap to do my shave so I had to use a lathering bowl but the larger tin is way more than ample to load your brush with. Cedarwood:Lavender - cedarwood and lavender essential oils. 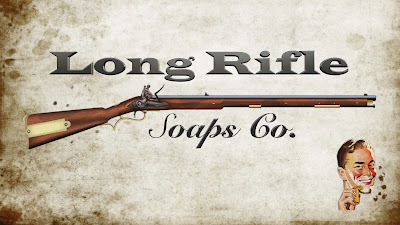 The lathering was really fast for LRS. After placing the soap in my Captains Choice bowl then adding just a few drops of water I was able to load my brush in less then a minute. This soap was thirsty so by adding more water as needed produced a rich creamy lather with peaks that would defy gravity. For the shave I used my Scotch and Stowe fatty which if you been following my blog has appeared more than once and is getting to be my go to razor. 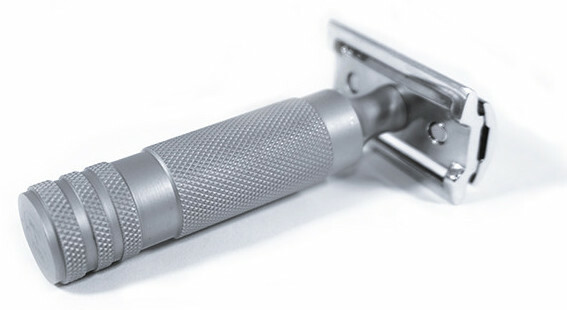 It was a great shave with slickness and glide that was very much present but I have to say if I could pick one thing to improve it would be I wish it had more. So if your looking for something that’s rugged, masculine and not your surgery coated scented shaving soap then give this a try. It will not disappoint.